Tri Star Industries has joined with B&B Lures and Ace of Baits to introduce a line of lures and baits new to the fishing industry. These new lures, which are designed to enhance ANY lure you may have, along with the extreme potency that the 100% Natural fish baits produce, will give you the ability to have that so sought after "Edge" over other fishermen. 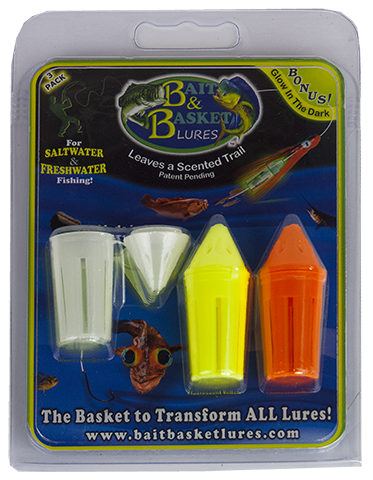 B&B Lures patented bait baskets were specifically designed with all fishermen in mind; you have the ability to easily attach it to any lure for both Fresh & Saltwater fishing. They fit perfectly inside your skirted baits or you can put them above or below your solid lures as well. 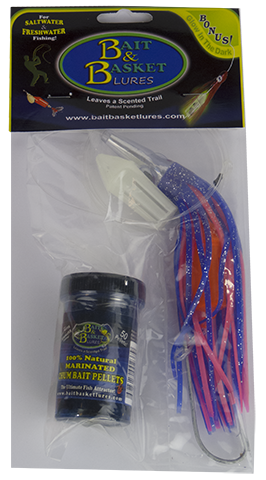 Whatever lure type you decide to use this bait basket with, when used with the 100% Natural MARINATED CHUM BAIT PELLETS, it will provide a fish scent slick that will give you the best chances to land your Catch! 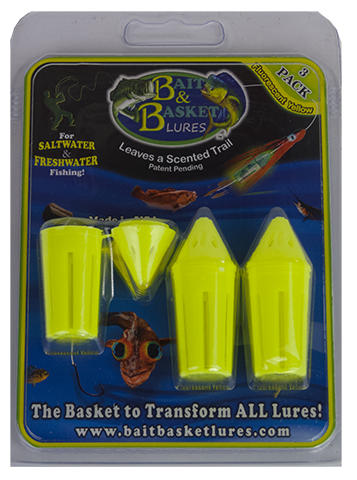 You can also decide to add sound to your lure by simply adding a couple small fishing beads on your leader line or inside the bait basket before closing; the beads will knock back and forth with the current thus creating this sound attractant. 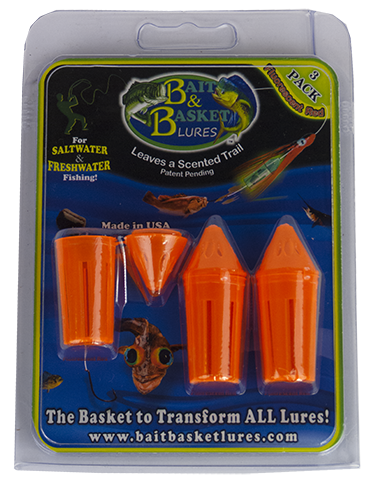 Fish are of course attracted by sight of the lure, but we do not want to just rely on this alone since it is a well-known fact that when you add Smell and Sound to the equation, you get results. Pellet Quantity: Approx. 50 Pellets, enough of 17 reloads! Recommended Use: Can be used with any lure. Ace of Baits Co. Inc. is also proud to introduce their new time release Chum Bait Cakes. The larger Chum Bait Cake is approx. 2.5 lbs and is perfect for all chumming applications, such as yellow tail fishing or bottom fishing, and is a great alternative to the traditional raw chum used today. These cakes will continually bring the bait fish in!! Even scuba divers take some down to the reefs to bring out the fish for picture taking. They take up little space, store easily, and stay fresh. The smaller approx. 3" round x 2" height extended time release chum bait cakes are perfect for all types of sport and commercial trap fishing. The cakes design is to provide the fisherman with longer fishing times, which is even more desirable when the weather is not in your favor to get out there!! Ace of Baits has become a leader in the Commercial Fishing Industry providing the highest quality performance baits to the Lobster, Crab, and Prawn fisheries; their baits are made with the environment being top priority and are thus 100% Natural . . . . 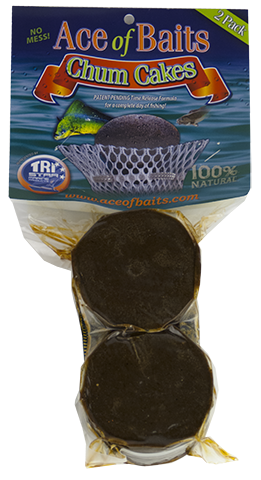 It is truly no surprise that they are known as "North America's Choice Bait Manufacturer". If you are interested in Commercial quantities, please let us know. 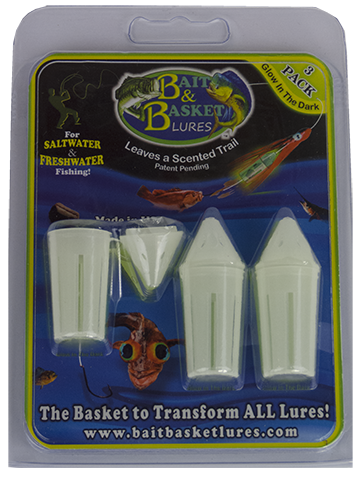 Recommended Use: Place in mesh bait bag for continually attracts bait fish. 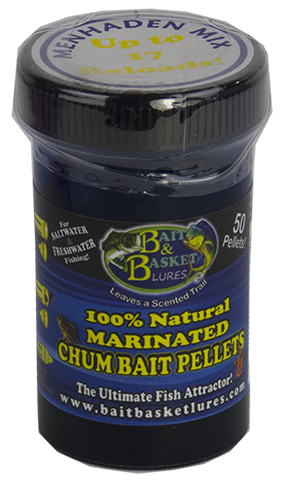 Advantages: Outlasts raw chum baits with no sloppy bacterial mess, Stores easily without the need for freezers or coolers! Storage: Cool dry place, away from excessive heat sources - Bait will become softer if left out in the sun which could affect fishing times. 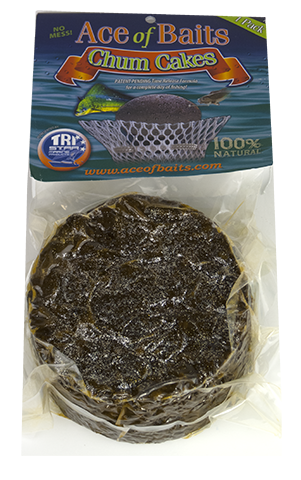 Advantages: Outlasts traditional raw baits, Stores easily and stays fresh, No need to chop / cut / or grind! PLEASE NOTE: Volume package Qty's available for Commercial Trap Fishing. Tri Star Marine will be handling the marketing and the distribution of these products shown here. If you are interested in becoming a distributor, please contact us for more details.